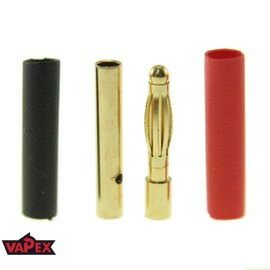 4mm Gold Bullet easy to install connectors are perfect for all kinds of applications. They are used in various RC models. Comes with a pair of 10 - 20mm red & black heat shrink tubes.